The Graphics class is abstract. It is just a collection of specifications for low-level drawing methods. The graphics object also contains a reference to the area of ram where the bit image will be constructed and it also contains the current clipping region. It is used for all types of painting including placing components, canvas drawing and laying out text. The most often use the Graphics object is as a parameter to your paint, paintComponent or print method. You often cast the abstract Graphics to an actual Graphics2D object to access additional methods. Have a look at the Screws application to understand the basics of drawing. The math behind that program may be a bit baffling. This diagram might help. 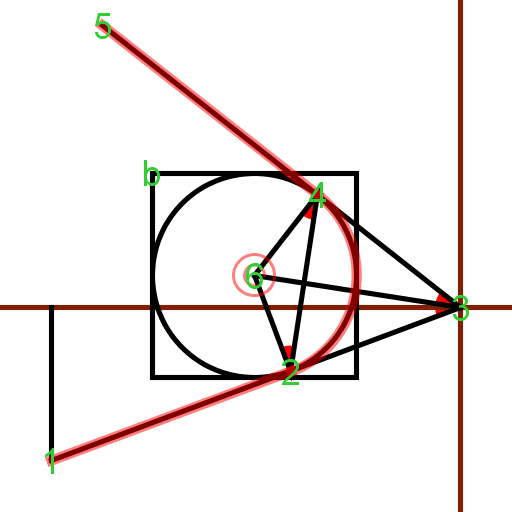 The technique for computing the rounding uses elementary geometry, the Pythagorean theorem and elementary trigonometry.